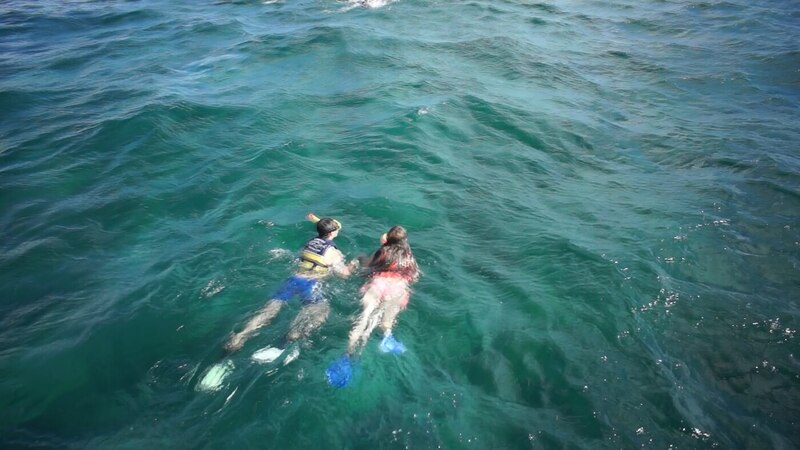 Caribbean Connection is the most experienced tour operator for the Whale shark adventure in all the Yucatan Peninsula, been pioneers since 2004 and moving over 30,000 people a year in the best boats and with the most trained crew and guides make us the best choice! 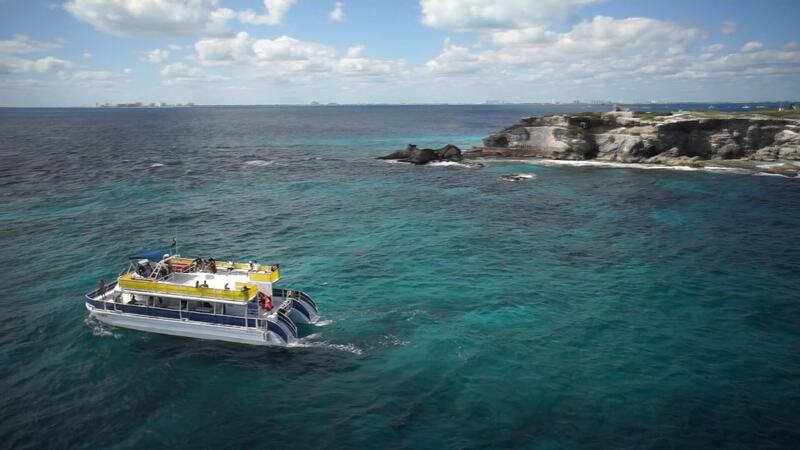 We start operating in 2000 with as a touristic services operator doing snorkeling and sightseeing tours to Isla Mujeres as well as diving. 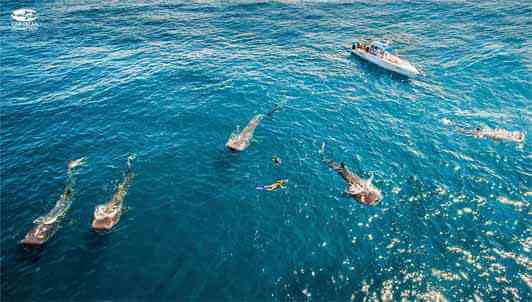 In 2003 we incorporated the whale shark swim to our tour catalogue obtaining the first official authorization given by the providers of local communities. From 2004 to 2007 we operate in Majahual south of Quintana Roo operating the parachute activity for Carnival Cruise Line cruises, in August 2007 after hurricane Dean we cease operations. All employees in this operation were hired in the community of Xcalac near Majahual. 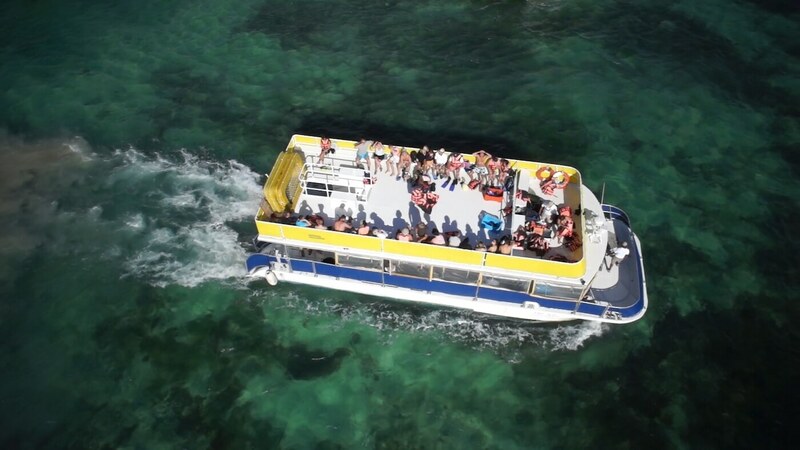 The company owns it’s land transportation fleet and maritime transportation fleet including 3 Catamarans for 100 people each that are used to operate our Isla Mujeres and Contoy Island tours, and 10 medium size boats (36 feet) to do the Whale Shark activity. 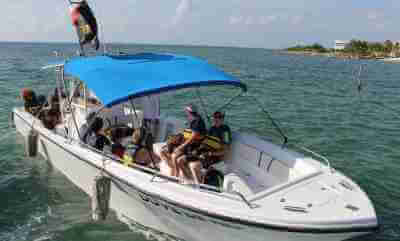 From 2006 to 2012 all the Palace Resorts Group water activities in Isla Mujeres are operated by us. 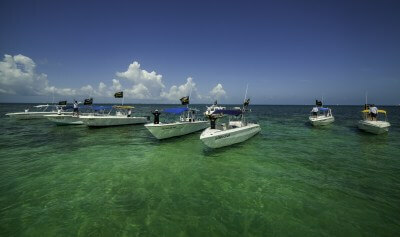 In 2010 we started operating the Isla Contoy tour, with three boats. In 2012 we obtain National Geographic Snorkel’s certification to represent them in the Mexican Caribbean as authorized dealers and we are also authorized to use it’s Brand. In 2013 we participate in the 3rd International Whale Shark Conference in Atlanta Georgia Aquarium, where we were invited to expose the experience of our company in the management and preservation of whale sharks. We have been collaborating with the aquarium in it’s whale shark research in the Mexican Caribbean for 5 years. 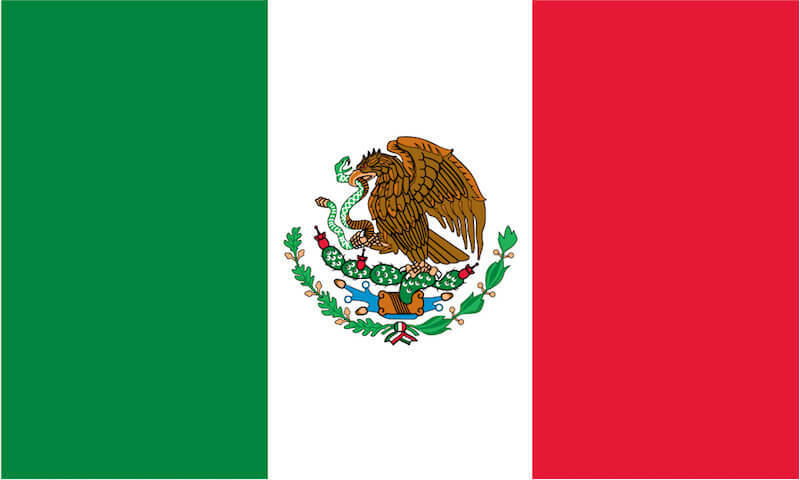 In 2014 our certified guides are selected to meet the representatives of the presidents of GAF visiting Isla Contoy. The company was awarded with the “Lic. 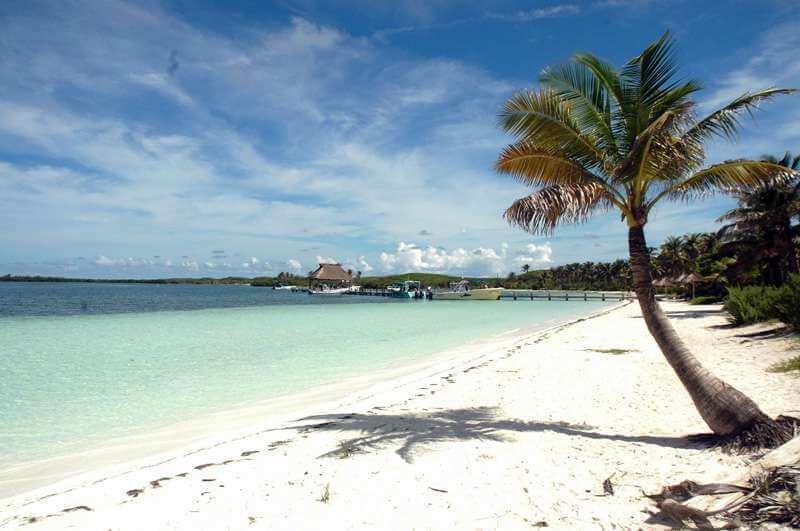 Jose de Jesus Lima Gutierrez” medal to the tourist merit in 2014 by the Municipal Government of Isla Mujeres. 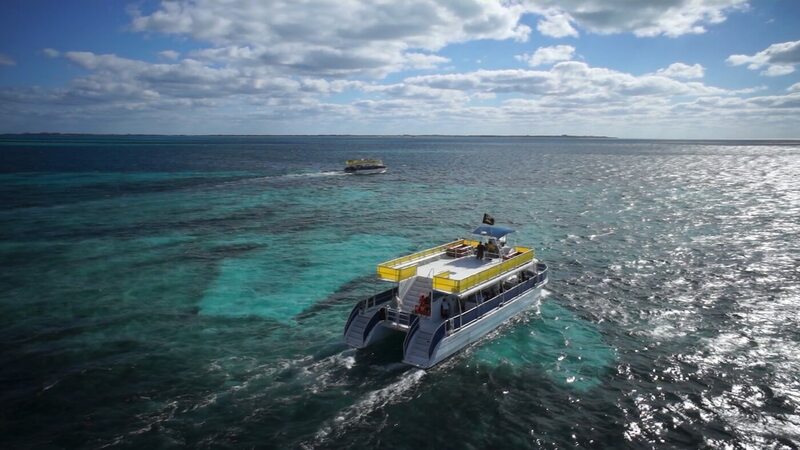 In 2015 we added a new boat to do the Contoy Island Tour. 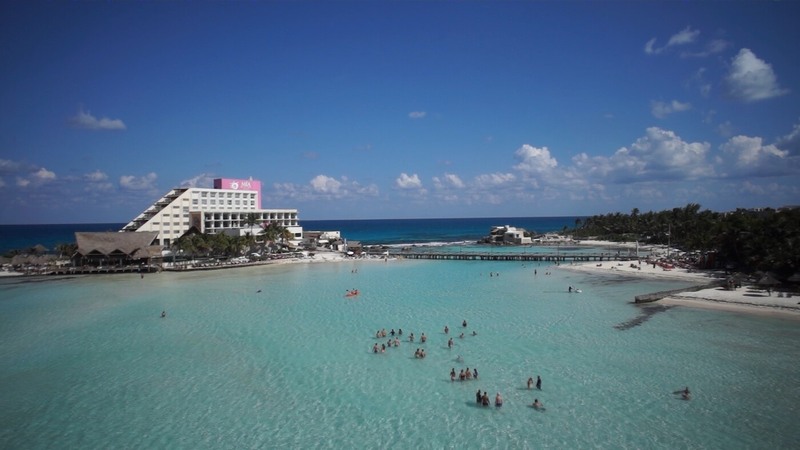 We are a member of Nautic Associates of Cancun since 2014. 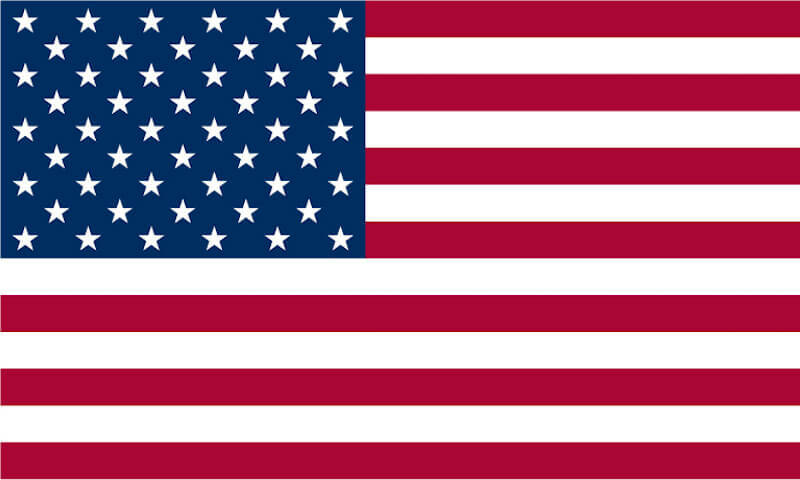 We have PADI, 5STAR, GOPRO and SNSI certifications.